This past July, it was my pleasure to perform numerous times at the Newport Music Festival in Rhode Island, which features chamber music performed in venues that include several historic mansions and the art museum. We were a core group of just over a dozen musicians, with additional performers joining in for certain programs. Among the music that I performed were two works for mezzo-soprano and string quartet; Camille Claudel, which is a song cycle with music by Jake Heggie – the Festival’s composer-in-residence this year – set to a text by Gene Scheer, and Heggie’s arrangement of Debussy’s Trois Chansons de Bilitis, originally composed for voice with piano. The mezzo-soprano was Renée Rapier, who possesses a superbly beautiful voice, musical intelligence and a delightful personality. 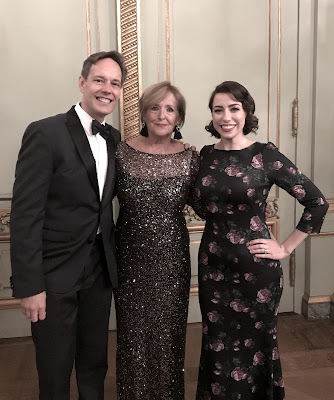 Within a day or so of the Festival’s start, the acclaimed soprano Federica von Stade arrived to perform a program featuring Heggie’s music, which also featured Renée in some vocal duets. After spending time with her in rehearsal, concert and over the breakfast table (where I learned that she is a type 1 diabetic), I felt inspired to feature Renée for this Conversation. STEPHANIE CHASE: How did you come to a career in music? Renée Rapier: Well, that’s always been the thing that’s chosen me, I suppose. I’ve always been a bit of a ham in my family. My father was a radio announcer for a time and is very gregarious. And I’ve always been attracted to performing and music, and always had a very good ear – as did my mother, who has this gorgeous voice, far more beautiful than mine. STEPHANIE CHASE: You grew up hearing beautiful voices! Renée Rapier: Yes, and you could hear my father’s voice from a mile away… but music has always drawn me in. STEPHANIE CHASE: Did you start singing as a child? Renée Rapier: I did, in church choirs, and I wanted to be in musicals but didn’t quite have the voice for it. It was frustrating because I wanted to be a belter, but my voice tends to slip naturally into a falsetto. STEPHANIE CHASE: Personally, I am glad that you do not have the typical Broadway voice. 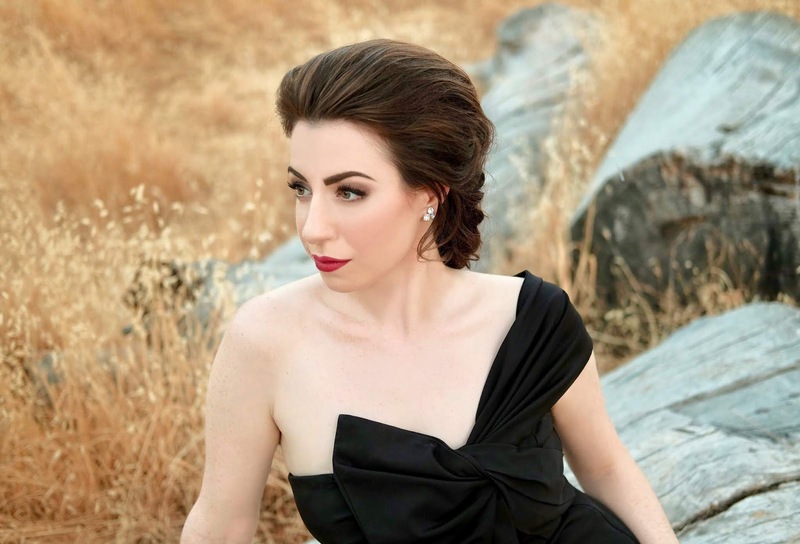 Renée Rapier: Me, too, and although things are changing, I’m glad that opera is still there. STEPHANIE CHASE: And you are also an accomplished violist. Renée Rapier: I do have a degree in viola performance. I quit singing for a while because I didn’t enjoy the choral system and I didn’t have a direction to go in since the musicals weren’t working. I did very well with viola in high school and was courted to attend one of our state schools in Iowa, where I’m from, that has a tremendous music program. The professor there is still a close friend and is responsible for my becoming a singer. STEPHANIE CHASE: It’s interesting that as a mezzo, you’re attracted to viola versus violin, which has a more soprano sound. 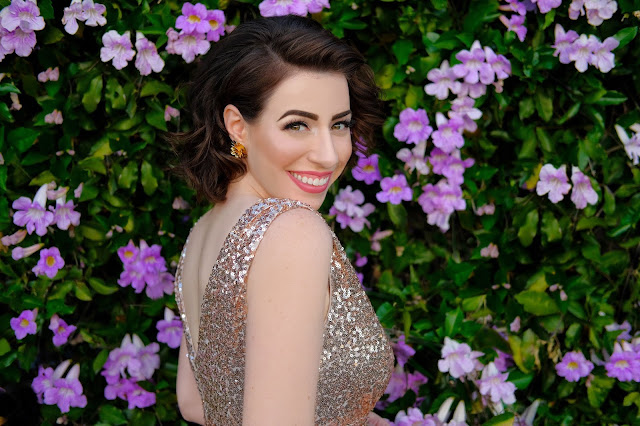 Renée Rapier: Since I’ve switched to singing, it’s also notable that I still struggle with some of the issues I had as a violist, such as tendinitis. I have very flexible tendons and have dislocated my shoulder and had to wear braces, which meant I was struggling very hard and couldn’t get in the practice hours that I needed. As a violist, I was tackling those issues with my professor and then, in switching to singing, I found that I had similar issues. STEPHANIE CHASE: So, you are talking about technique – how to use your body well and remain relaxed. Renée Rapier: Yes, and as a singer my instrument is within me, so if I have a problem then it tends to stay with me. My teacher, Jean McDonald, is a master technician. She’s been my one and only teacher full time and I can say without hesitation that, in my experience, she’s the best teacher in the country. She knows the deep, fundamental issues of singing which go well beyond making a beautiful sound, including how to take a load off the small muscles in order to free up the body and the voice – similar to playing violin or viola – so that we can add many years to our careers because our bodies and voices are used thoughtfully. STEPHANIE CHASE: In my own playing and teaching, I emphasize the use of gravity to help produce sound; in other words, I don’t raise arms more than the minimum to allow this weight to occur naturally as much as possible. Does this apply to singing? Renée Rapier: Oh, it totally does; for example, the muscle that tilts the larynx down and tightens the vocal cords is just this tiny little thing. When people are using a large vocal range but you can see their neck muscles moving a lot, it’s an extrinsic kind of use. Sometimes it can be exciting but it can start to collapse the resonance chamber, and it actually shrinks down the vocal structures. I can see in your playing how you use gravity, also in how you move around the fingerboard. STEPHANIE CHASE: Oh, thanks! I find that the idea of portamento [carrying of the voice] is important for expressive string playing. You vocalists often will glide into a pitch that we can play “cleanly,” but there is an expressive element that is lacking if we do so. Renée Rapier: Sometimes we can struggle with legato – I know I did as a violist and singer, but what helped was the feeling of relaxation and, in playing viola, the continuous vibration of the hand. When singers complain to me about not being able to move their voices, I answer that if you let the natural vibrato cycle occur, it will help the sound flow and make those crazy florid passages work. STEPHANIE CHASE: My understanding is that in order to change pitch, you must reshape the vocal cords? Renée Rapier: It’s about maintaining the structure of the instrument. Our body has a great natural intelligence, but it takes a long time to trust this process. Renée Rapier: I have worked with breath coaches before but, basically, I have priorities; one is to create the fifth formant [the singer’s formant is an acoustical resonance that does not occur in speech or in untrained singers] that allows us to project operatically. To do this, we have to lower the voice box slightly and seal off the nose using that flap of skin that goes into your nasal passage. If you breathe through your nose then stop suddenly, you can feel the flap coming up. By doing this, I’m not pushing to make the sound louder. If I set this up properly, I can use less air in producing my sound. STEPHANIE CHASE: Do you have a lot of anatomy books at home? Because I’ve never heard a singer speak about these matters with such a clear understanding of the physical techniques. Renée Rapier: Yes! I think it’s due mostly to my teacher, who has a large model of a larynx on the piano in her studio. It’s about a foot tall and his name is Larry. With her students, she goes through a whole course on just the vocal mechanism, but she is an exception because this usually is not taught, especially palatal control, so people are just letting a whole lot of air escape through their noses. If you took a trombone and cut a hole in it so that air escaped while it was played, that would be comparable. It changes the timbre and quality of sound, so people have to make up for this in other ways. If you look at the big voices of the past, they weren’t having to throw their bodies around or make strange facial movements in order to sing. If I catch myself doing these, I just go back and review my technique – I even have a chart with the basics. STEPHANIE CHASE: You are always revisiting your technique? Renée Rapier: Whether I want to or not, and I’m so lucky to have Jean in my life, as a mentor who checks in with me. We have an ongoing dialogue and I know that I can go to her, and I often review my notes from over the years. As a teacher, she is remarkably constant and consistent. STEPHANIE CHASE: What are some of your musical inspirations? Are you inspired more by melody than text, for example? Renée Rapier: Oh, my inspirations are all over the place. I definitely gravitate towards the melodic aspects; for instance, I can listen to a pop song for a year and not know the lyrics. But as a former aspiring actress, I find that with art songs the text adds an extra layer. So, I love when a piece can really grab you aurally, but knowing the text makes it that much more effective – it’s like having a nice bottle of wine and knowing something about the region that produces it; you know what the landscape looks like. STEPHANIE CHASE: Here at the Newport Festival, among the works you performed were an original song cycle by composer Jake Heggie and his adaptation of a song cycle by Debussy. What about his original music do you like? Renée Rapier: I loved having him here. I’ve known him for a number of years now – we both live in the Bay area – and he’s incredibly versatile and prolific. His influences are many; he has an affinity for Broadway and I’ve done a number of his songs that are more in that style. He does everything so well, but then, to see what he did with the Camille Claudel [a renowned French sculptress active in the late 19th century, who was a spurned lover of Auguste Rodin and spent her later years in an asylum] cycle, where he takes this tortured soul and her works of art and fleshes out her thought process – it’s one of the most special experiences to sing. I’m trying to think of a piece by Jake where I’ve not had to consciously keep from crying in a performance. STEPHANIE CHASE: I loved playing it, not only for the music but also for working for you and with him, and to hear his explanations of the settings and his insights. I also liked the way he worked with us – sometimes working with the composer can be a bit awkward. At the Festival, you shared a recital program of Jake’s music with Frederica von Stade, and I have to say, we were all so overwhelmed when she came in to listen to our rehearsal of Jake’s work, and she introduced herself as “Flicka”! She is such a renowned singer and yet is down to earth, and clearly is acting as a mentor to you. Renée Rapier: We met through Jake’s new opera, Great Scott, back in 2016. I was covering Joyce DiDonato in Dallas, and Flicka also had a role. She lives in the Bay area as well. She is just the best! A warm hug, always smiling, but also hilarious and sassy. She is also incredibly compassionate. Jake wrote some mother-daughter duets for us. We sang just three of them, but again, I had to not cry… and I just learn so much from watching people like her. There are two sides of your brain that can be in complete intoxication; the emotional impact and then the technical prowess. STEPHANIE CHASE: What a great experience to be able to work with her! Renée Rapier: It really is the experience of a lifetime and I hope to have more opportunities like that. STEPHANIE CHASE: You sing both art songs and opera, do you have a preference between them? Renée Rapier: It depends on the opera and it depends on the art song. Lately I’ve been doing smaller roles in larger houses, which is a lot of fun, because I can often work from home and don’t have the responsibility of carrying the whole opera. STEPHANIE CHASE: What is the schedule like? Renée Rapier: It depends on the company, but you always have to come in fully prepared from the start. At the first rehearsal, you sing through the opera with piano for the conductor. Then there’s usually a staging director at the subsequent early rehearsals, again with piano, for three-hour chunks at a time. We also need to be fitted for costumes and wigs, so it’s a complicated process. I’ve been told that the European houses often have a very tight schedule that allows little time for preparation prior to performances. STEPHANIE CHASE: Your acting background must serve you very well. Not so long ago, opera singers would often just plant themselves onstage and sing without moving, and many of them were rather inappropriate in appearance for a role – for example, you might have a middle-aged, heavyset soprano singing the role of a young girl dying of consumption. I think the expectation now is that singers have to be better actors. Renée Rapier: I think we’ve gone a little too far in this. Yes, you want compelling acting, but the auditory response to the singing is far more important. If I’m listening to a well-produced voice, then I don’t really care what the person looks like. It makes me a bit sad, because those experiences are getting fewer and farther in between. Sometimes opera is even amplified now. You’ve got to get the person for the high definition video, where appearance matters, and sometimes the voice is not brilliant. But I have hope, because I think the audiences are smart and for the people coming up with exceptional voices, even though they might not be the most perfect physical specimens, I think the audience will respond. STEPHANIE CHASE: That’s what’s so exciting about symphonic music and chamber music – we’re making the sound ourselves, usually without any enhancement. Renée Rapier: There’s no substitute for nature! For example, we made that little campfire last night (outside the main residence house at the festival) and I sat there enraptured. I hadn’t sat in front of a fire for a long time because I live in California – where everything’s on fire anyway – and I asked a friend, is this what people did before there was any entertainment? The sun goes down, you can’t read, and I realized that I could watch this forever. STEPHANIE CHASE: My husband and I have an 18th century house with about eight acres, mostly wooded, and it has two fireplaces. In the winter, one of my great pleasures is to make a fire and just watch it – it’s very therapeutic! And in the summer, sometimes I wake up at five o’clock, which is when the birds start to sing. It’s unfortunate that so many people are no longer attuned to nature. Renée Rapier: Yes, and that’s one of the great things about a festival like this one – these special spaces are around, even in urban areas. And I think that some of the best opera comes out of the regional companies, including Des Moines in my home state, and nearby in Opera Omaha. They do great work, really innovative stuff. People who are working in these places are among the best singers in the country. STEPHANIE CHASE: I think it’s also important to not make a distinction between the audiences of a large city and those in more rural settings – they’re all there to receive the music, and it may have a profound impact on them. Renée Rapier: Part of our job as performers is to create an environment for that to happen. To paraphrase Oscar Wilde, not every audience is a success, and we have to be open to those experiences. STEPHANIE CHASE: As a violinist, when I play a concert I am mostly looking at the conductor or have my eyes closed, but singers face the audience. Not only do you have the music to remember but also a lot of text, so what do you look at when you sing? Renée Rapier: I hate looking at an audience, and I don’t like being looked at as an audience member, unless it’s a funny piece or something like that. We just find the exit sign – and even refer to it as our great lover, the exit sign, because we sing everything to them. I knew a girl who was singing a difficult work and had to watch the conductor, which was giving her trouble, so I told her just to sing to him in a loving way. STEPHANIE CHASE: I once attended a concert that featured a young singer and in the large hall I had the feeling that he was looking at me and singing to me, so I was careful to look engaged but neutral. I met him at the reception following the concert, and it turned out that he indeed had picked me out and was singing to me. I think there was a statute at The Breakers that you sang to? Renée Rapier: Oh yes, she was in a Grecian robe and I sang the Chansons de Bilitis to her. STEPHANIE CHASE: The next thing I want to ask about, because you have shared this with me and other musicians at the festival, that you are a type 1 diabetic and that you have an insulin pump and monitor attached to yourself. We observed you checking your numbers around mealtimes. Renée Rapier: I try to make it known just in case I pass out! STEPHANIE CHASE: When did you first develop diabetes? Is there a family history? Renée Rapier: As far as I know, there is no diabetes elsewhere in my family, which is crazy. My mom is a nurse, so she would know. I went to a summer camp when I was fourteen and got a cold. I came home and then went to another chamber music camp, and I was also working in a vet clinic as a volunteer – because I love animals! One of the nice things about this clinic was I could drink all the soda that I wanted, stuff I couldn’t get at home. All of a sudden, I wanted water – which I never really drank before – and I wanted it all the time, including during the night. I started keeping a bottle of frozen water by my bed. Then I began wanting a specific kind of juice, and would drink it all day. Then it was milk. So then, I’m playing in chamber music camp and suddenly I cannot see the notes all that well, and I’d never had vision problems. After three weeks, I was very pale, actually a shade of gray, and mentioned during work at the vet clinic that I wasn’t feeling well. The vet suggested we check my blood sugar level and took out the animal glucometer and pricked my finger, for the first time, and we discovered that my level was very high. Now, just for reference – and I need to check my level soon – the normal range is between about 80 and 120. Below 80 and you get that low blood sugar feeling, and above 120 is what you might feel like after sugary Chinese food, when all you want to do is pass out. My blood sugar can vary wildly, but we try to keep it between 80 and 250. Above 250 and you start to get these little platelets in your blood and they can clog up the small capillaries – this is what leads to vision and circulatory problems in your hands and feet, and your eyes and kidneys. I have these test strips and you’re supposed to use them 8-10 times a day and at least six. Before you eat you do a test and then you have to calculate the amount of insulin that you need – the pump has a little calculator. So I have to calculate the ration of insulin to carbohydrates. If I have a piece of bread, that’s 15 carbohydrates. I will input that and it will calculate what amount of insulin I need. But I also have to calculate what my blood sugar is, to bring it down. No biggie. Anything can cause your blood sugar to go out of whack, it can be stress or sickness, and pregnancy is going to affect it. If you let it ride at 350 or 400 for a long time – people don’t always take care of their levels – that’s when you start to get the severe results like loss of limbs and blindness. So, this device is going to help me know – it’s going to calculate and then give me the insulin I need to get me back down to normal. STEPHANIE CHASE: The device contains the insulin – how often do you have to refill it? Renée Rapier: Usually every three days, which is when I move the disposable delivery attachment around my abdomen to keep from scarring. There’s a motor that pushes the insulin through a cannula, or tube. I’ve used this system for a long time, about fifteen years. Without it I would rely on insulin needles, and I would have to take large doses of two types of insulin; one long-acting and the other before meals. So, basically, the pump allows me to take micro-doses throughout the day. When I eat, I take the fast-acting bolus insulin, which lasts about four hours. STEPHANIE CHASE: You’ve said that your pancreas just doesn’t work at all. Renée Rapier: That’s right. And just for information, type 2 diabetes, which is adult-onset, accounts for about 95% of the cases. That’s when you make insulin but your body is resistant to it. STEPHANIE CHASE: Is your diet less than a factor than for the type 1, because you have to inject the insulin anyway? Renée Rapier: Yes, but if I eat crap – to use a technical term – I definitely will feel it. Foods are absorbed differently based on their fat content. If my blood sugar is low, I need to go for something that’s pure carbohydrate, so I always go for apple juice. Something like pizza’s always a challenge, because it’s refined carbohydrate on the bottom, there’s usually sugar in the sauce, then you’ve got a ton of cheese. The fat and dairy are going to slow the sugar absorption. If I have a glass of wine as well, alcohol delays the absorption of sugar even further. If I take a bolus before eating pizza or something like duck confit, the blood sugar will go low. STEPHANIE CHASE: So, you are faced with these calculations at a place like this festival, where lunch is delivered between rehearsals and you don’t know what it’s going to be. When you are onstage, such as in an opera, is the time onstage an issue? Renée Rapier: Thanks to the newer technologies it’s less of an issue, but before that it was not easy. I remember being in a production of Falstaff in San Francisco. There was a lot of running around, which was fun, but every time I left the stage I had to run up to my dressing room to check my blood sugar. To this day, all of my stagehands and dressers carry around juice boxes for me – I’m the “Apple Juice Lady.” Another factor is that when blood sugar levels are low, the body’s natural reaction is to produce adrenaline. This can affect mental acuity and give a hollow feeling, as if you’ve been scared very quickly. STEPHANIE CHASE: And your monitor will even go off in the night and wake you up if your levels need attention. Renée Rapier: Yes, I also wear a continuous glucose monitoring sensor, which sits under my skin and tests my blood sugar every five minutes, and it sends a signal through a Bluetooth connection so I can get a mini-dose. If things are still not under control while I’m asleep, I will get a signal that awakens me. STEPHANIE CHASE: You have previously mentioned to me that you walk your dog for an hour every day – but do you have some hobbies? Renée Rapier: Well, my sister-in-law got me a stand mixer for our wedding and I’ve started baking. I like to cook but I’m not a measurements kind of person, so it’s a bit of a challenge. STEPHANIE CHASE: You’re talking about cakes and pastries – all the things a diabetic should not eat! Renée Rapier: I will sample things but I’m giving them away, forcing them upon my co-workers. STEPHANIE CHASE: Well, in talking about favorite things, do you have a favorite composer? Renée Rapier: I don’t know that much about music, compared to other people, but when I was in high school we did a performance of Shostakovich’s Fifth Symphony, and I just fell head over heels in love with his music. A friend showed up to a recital I gave in college and gave me a CD collection of his complete discography. And I had an opportunity to go to St. Petersburg and study his viola sonata with a great professor, and she gave me her copy of his music. She had played it the day after he died in 1975, at a memorial. I still have that copy of music. STEPHANIE CHASE: Why does his music appeal to you? Renée Rapier: I’ve always been attracted to very dark and torturous music – it probably comes from growing up in a simple, even-keeled society in the Midwest, so I just crave a little drama? STEPHANIE CHASE: I think there’s also the element of inspiration and hope, in the midst of tragedy, and the heroic qualities of overcoming it. Renée Rapier: You also see a distinction between the government-sanctioned music and his personal music. STEPHANIE CHASE: You are married; is your husband involved in music? Renée Rapier: My husband, who is from Venezuela, is a software engineer and also studied video game design. It’s so interesting, with a combination of cinematography and art, and even puzzles. He’s great, and it’s so important for us to connect with people outside of our field. STEPHANIE CHASE: Looking forward, what are your career aspirations? Renée Rapier: Well, at 32, I’m at an age where the voice should be reaching its peak. The pace as an emerging artist is so rapid, with auditions for summer programs or resident artist programs, plus academic requirements if you’re still in college. You’re always working towards short-term goals, and then suddenly you’re on your own, without the feedback loop. And the work that you get doesn’t come about for several months or even years. I’m trying to find a way to be a happy musician and still do the things that I want in my life. STEPHANIE CHASE: There are a lot of people who are so totally driven they seem to exclude a lot of things that I would consider important, in part because these experiences make us a better musician. Renée Rapier: And I’m lucky to be in a place in my career where I can even have these thoughts. One of the things that people don’t realize about singers is how much we have to cloister ourselves for our preparation and how caught up we are in having our instruments as part of ourselves. Fortunately, I also like to teach, so my goal is to perform as much as I can but also eventually build a studio of students. There’s also that unattainable goal of improving on technique and getting closer to perfection! In teaching, I have to take on the students’ issues; their body, what they’re going through, in order to help them. It’s like a puzzle; I have to get them through that maze. It’s all about communication, and when we do resolve a problem, it’s just the best feeling in the world. STEPHANIE CHASE: In closing, do you have a motto? Renée Rapier: Well, I like what the bassist Edgar Meyer said, which is “make the best music you can with the best musicians you can find.” I try to work with people who are way better than I, so it lifts me up. STEPHANIE CHASE: Working with you, hearing you sing, and getting to know you has really lifted me up! I wish you the very best for a long and fulfilling career. 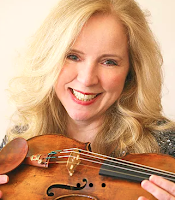 Stephanie Chase is internationally recognized as “one of the violin greats of our era” (Newhouse Newspapers) through solo appearances with over 170 orchestras that include the New York and Hong Kong Philharmonics and the Chicago, San Francisco, Atlanta and London Symphony Orchestras. Her interpretations are acclaimed for their “elegance, dexterity, rhythmic vitality and great imagination” (Boston Globe), “stunning power” (Louisville Courier-Journal), “matchless technique” (BBC Music Magazine), and “virtuosity galore” (Gramophone), and she is a top medalist of the prestigious International Tchaikovsky Competition in Moscow. In the Summer of 2018 she was featured at music festivals in Newport, RI, Mt. Desert, ME, and Martha's Vineyard, MA, and made her debut in Vietnam, where she performed in Hi Chi Minh City and Hanoi.